Maintain hygiene by cleaning your shower floor is essential as it sustains and supports healthy living; your bathroom’s floor sanitation is vital for you. However, it is among the most troubling cleaning work. You will be required to remove all dirty material from the room; for example, remove all clothing, toiletries, rugs, and towels. Arrange every item in its proper place before commencing on the cleaning process. Through wiping your shower floor after every use; you will prevent soap scum from building up. This will ensure that the mold doesn’t grow on the floor; thus it remains hygienic and sparkly. You will also make your future cleaning task more comfortable. The following is a guideline on how to clean a shower floor effectively. 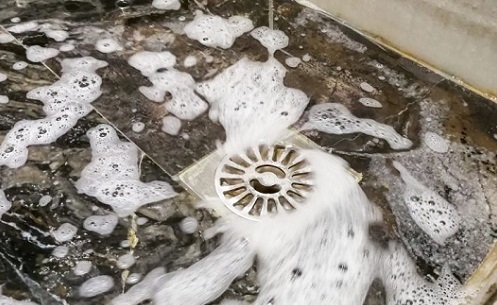 Having critical cleaning equipment and supplies for your shower floor will save your time, challenging work, and money. This cleaning equipment and supplies comprise mildew and soap scum remover, floor cleaner, sponges and wet cloths, scouring brush, surface cleaner, baking soda, easy to use the broom, water-vinegar solution, paper towels, etc. Your cleaning should always start at this phase. 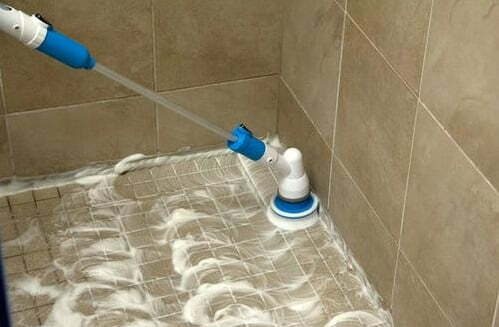 You need to vacuum or sweep the shower floor to remove hair and loose dirt. In case you skip this step; hair and loose dirt particles will be attached to the mopping broom or collect around the shower-room corners. Pour some Soapy hot water into the elegant bathroom floor. The water will increase the shower floor’s temperature and enhance the efficiency of the floor cleaner used. You can always use the hot soapy water to wash the surface to remove the larger dirt particles and also facilitate effective disinfection. You can even squeeze some drops of liquid soap on the shower floor and spread it over the floor with a fabric material. Allow the soap to stay on the floor over the night and scour the floor the next day to get rid of tough stains. Apply your bathroom floor cleaner to help in disinfecting your shower floor and remove mildew and harmful bacteria. Consider using appropriate cleaners that are meant for bathroom floor cleaning. It is based on the type of your shower floor. 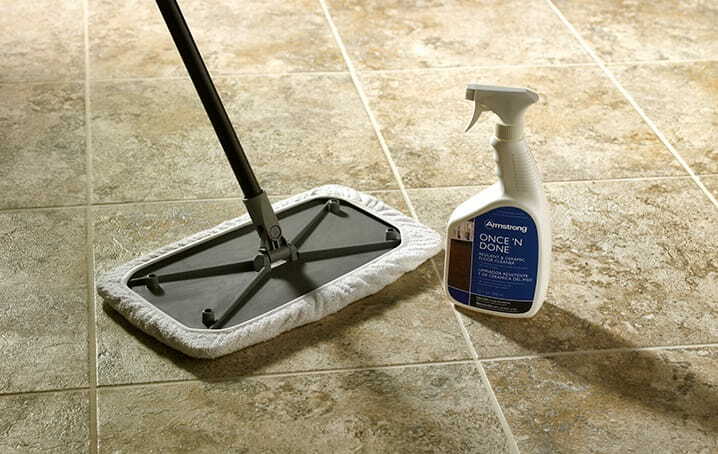 This will give you a chance to clean every part of the floor and provide excellent results. Once you are done with the disinfecting phase, the next process is to scour the shower floor to remove the dirt. Use a firm brush to do the cleaning; avoid using a hard brush since it will damage the floor. Take care of every part of the surface and scrub thoroughly to get rid of stains and dirt particles. Consider using an old toothbrush to eliminate dirt that sticks in areas that are difficult to clean such as the shower floor corners. To get rid of tough stains, a thin layer of baking soda applied to the shower floor can help you to remove deep stains. Also, you can soak a piece of cloth in white vinegar and use it to clean the stains. Use a mixture of water, white vinegar, ammonia, and baking soda to clean the shower floor thoroughly. Apply some of the mixtures on the tough stain and then use a sponge or brush made of plastic bristles to scour the floor. In case there is a problem in removing the stains, leave the vinegar-soaked cloth over the deep stain and allow it to stay there for a short while. After that, consider rubbing thoroughly using a lot of water to remove the dirt. The next important step is to rinse the floor when you have completed the scrubbing; you will be required to pour the clean water on the floor and then mop it away from the floor. If you rinse the floor properly, you will eliminate the sticky marks that may be left on the surface and also takes care of the unpleasant smell from the sanitizer. Use a dry piece of cloth or a mop to make sure that the shower floor is dry; a sponge can also help by sucking up the water to dry the floor. This helps you to prevent the surface from getting dirty quickly which will require you to do the cleaning task once more. It is always wise to have all the required cleaning equipment and supplies together before starting your cleaning procedure. Place them in a container to enhance portability and allow easy access to save time. The shower-room cleaning equipment and products should be put in a separate container as they are different from those used in cleaning the other rooms. Remember that a smelly or stinky bathroom is very dangerous. It is not conducive to the users due to the foul-smell and poses a health risk too them. The users can contract diseases due to mould and germs that breed from such dirty environments.